With so many rabbit names to choose from, we’ve put together one of the largest lists of names to be found, to help you pick the right name for your bunny. Whether you prefer something cute, funny, sporty, catchy, color-based, popular, common, rare, unique, or long, or short, we have included them all – for boys (bucks) or girls (does), covering everything from A to Z. Found your name? 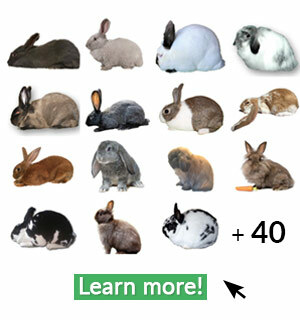 You might also like: Top 15 most Popular Rabbit Breeds, did you know all 15? The following names are the most popular rabbit names in the US & UK. Some of these names also have multiple variations, we listed those as well. What name should I give my new rabbit? This question troubles a lot of rabbit owners. Do you want to name your bunny after someone that is or was important to you? Or choose a name that describes their personality or looks? Or do you perhaps wish to name it after one of your favorite celebrities? The options are almost unlimited and that is exactly what makes it a fairly difficult task to complete. We do however have some good news! In need for a less common name? 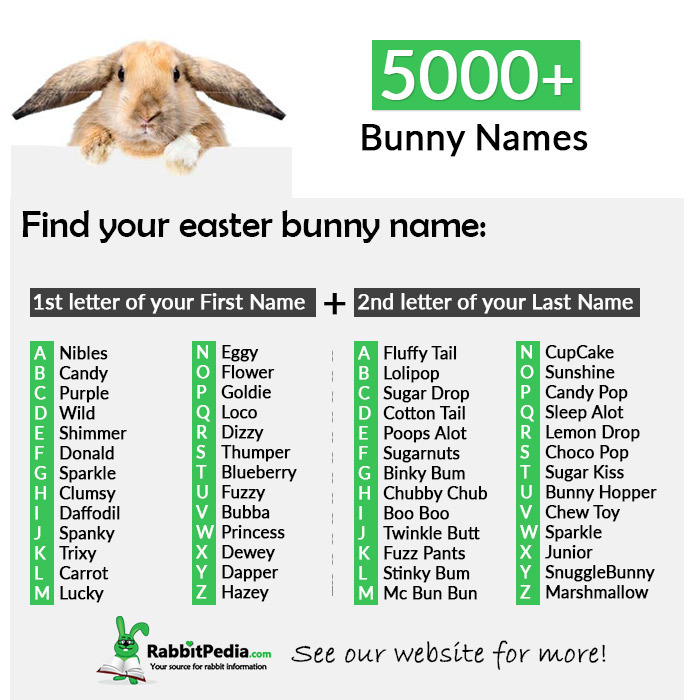 Have a look at our big name database with 5000+ Rabbit Names and navigate by selecting the letter you like the most and explore a set of both common and rare names! 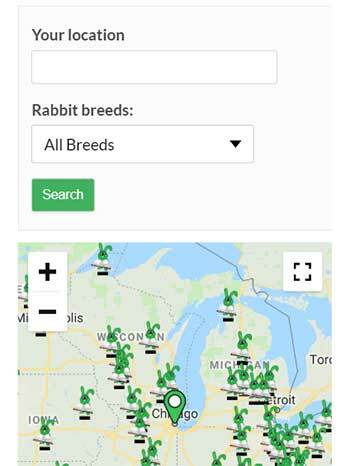 These are the most popular 250 rabbit names for bucks. 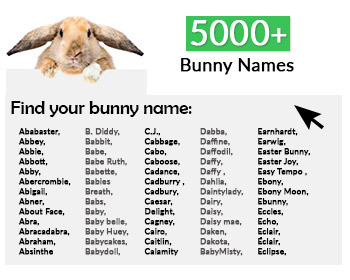 These are the most popular 250 rabbit names for does. Do Rabbits know their own name? Rabbits are able to learn their name as well as responding to many other variations or specific verbal commands. They are certainly clever enough to be trained but it might however take some time before they respond to a new name. 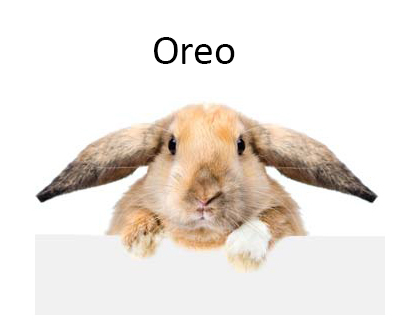 What is the name of a female and male rabbit called? A female rabbit is called a doe and a male rabbit is a buck. A young bunny is called a kit, whereas multiple baby’s are refered to as kittens.